The Institute of Advanced Motorists (IAM) has welcomed the news that increased levels of spending are being seen by councils across England on the upkeep of roads in their area. 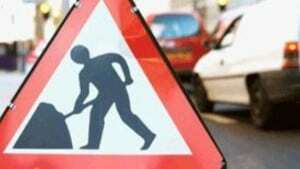 A freedom of information request to the government from the IAM showed that 17 out of 23 county councils have demonstrated growth in investment in roads maintenance budgets between 2013 and 2015. Sarah Sillars, IAM chief executive officer, said: "We are very pleased that our calls for greater investment in local roads appear to be having some effect. "We hope this trend continues. With council tax increases this April, we very much hope councils will use some of the extra money in continued investment in their own vital local roads, the condition of which has a direct impact on road safety." Ms Sillars added that potholes and other road defects can blight local communities, causing considerable damage to the vehicles of road users and impacting journey reliability and the local economy. It is therefore positive news that many councils are now taking this issue far more seriously than has been the case in recent years.